Like it's Your Last: So where is spring anyhow? So where is spring anyhow? It has been a fabulous winter for the most part. 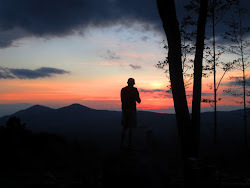 Cathy and I have spend the majority of the season up at our camp in the NEK. 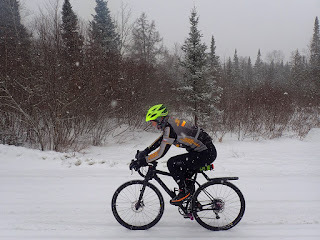 We had a good close to the cyclocross season with the USA Cycling National Championships right here in New England and welcomed the snow, which almost on cue hit up north night before Christmas. We've had solid snowpack ever since, despite a pair of thaws in mid and late January and then a finicky February, which saw above average temps. We started off the winter season with an excellent fat bike race in Northfield, VT, the Fat Santa. The conditions were pretty insane with about a foot of fresh snow and six inches of powder falling the night before the event. It was crazy but a perfect holiday event and a really good way to kick off the season and great to support our friends at Bicycle Express. 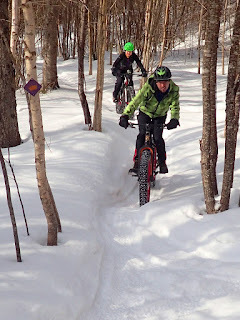 From there we got in lots and lots of fat biking at Kingdom Trails with some very, very good conditions for a long stretch. Wedged in between we also did a little bike of riding on the cyclocross bikes and also competed in the National Championships in Hartford, CT in some, challenging conditions. 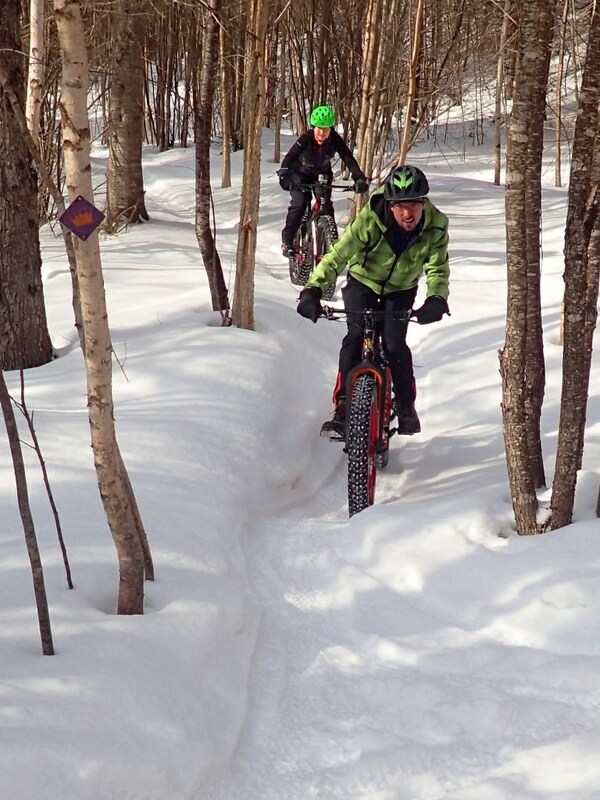 From there it was back to VT and back on the fat bikes. Lots of riding at KT as well as some packing and riding the trails at Victory Hill Sector as well made for some great fun. Before we knew it the Moose Brook Fat Bike Race was upon us. This race was the first fat bike race that Cathy and I ever did, way back in 2014 when we were first getting into fat biking. Through this race we met some of our dearest friends. The Friday before the race we worked to pack and groom the trails with the Coos Cycling Club and then had a party afterwards. This year the race itself hit right in the midst of the second thaw that we had in January, with a bunch of snow hitting us in between. January weather was manic with some crazy cold and some above normal warm. This played havoc with conditions late in the month and made the race, a challenge for the racers. One lap of mostly riding followed by lots of running and riding the rut. Still, great fun, excellent people and a wonderful event. That pretty much rounded out January for us up here in the north. If January was manic then February was just insane. Harsh cold followed by early summer warm periods, made for a jumbled month. 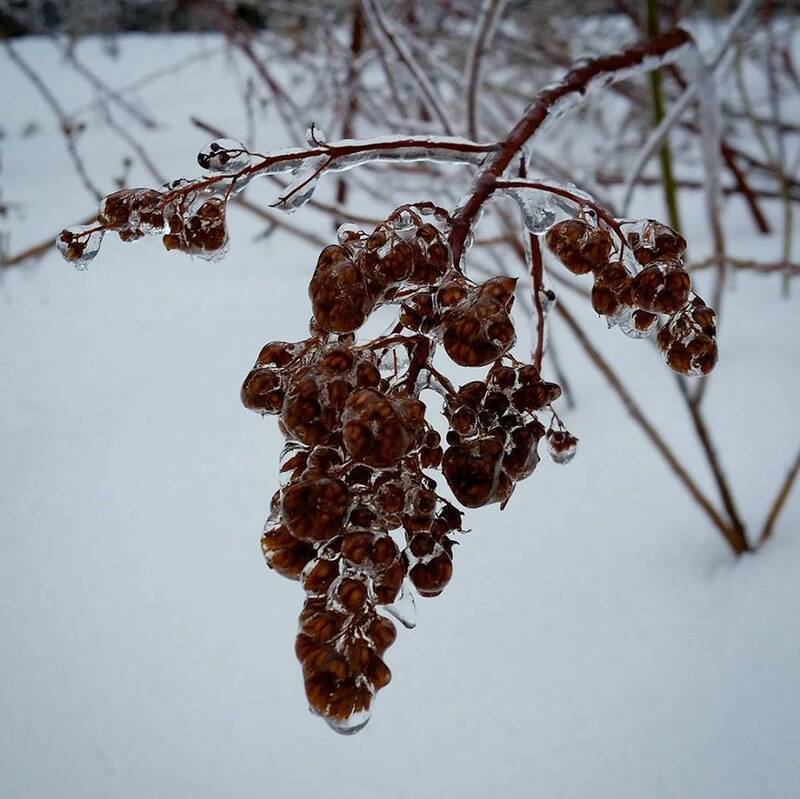 The first few weeks of the month were traditional mid winter and we got hammered with snow. Way above average amount in fact. There was cold mixed in as well with all of that snow, to the north at least. Lots of snow and big snow storms that lasted for days on end. There was a stretch of like five days in a row where I had to snow-blow the driveway every day. Riding was a challenge because we had so much snow and were getting the storms so close together. Kingdom Trails couldn't get it packed in before the next storm hit so they were unable to open. Cathy and I did a lot of really fun snow covered gravel road riding. We also spent some time south later in the month, back in MA because the weather was just so nice down there, We literally had days that broke 70 degrees in southern New England late in the month, setting records across the region. The month was a blur of riding in near whiteout conditions or on chilly, bluebird days coupled with riding roads in MA dressed in short sleeves and shorts. That was tough for a number of reasons, some of which we would soon come to realize as the weather took a dramatic turn back to winter. It was nice to be able to get in some miles on the pavement though, something we hadn't done in nearly a year. It was also refreshing to have some variety. As much as we love the fat biking, we'd been on the bikes literally every day for a couple of months straight at that point. A change did us good. Then March hit and literally within a week we went from 70 to below zero. For Winterbike at Kingdom Trails the first weekend of the month we hit a high of 5 degrees above with winds that set the chill at 25 below. The following weekend we had the rescheduled LOCO Cycling FattyFest race at Waterville Valley. If we thought the previous week was cold, this would put that in perspective. The temp at the start of the race was -5 Fahrenheit with a wind chill at 35 below. It was insanely cold, so cold it deep seared your lungs and literally hurt to breathe deep. It was a great event though and we had a really good time. The latter part of the month has remained cooler than average, feeling more like a traditional February than March. 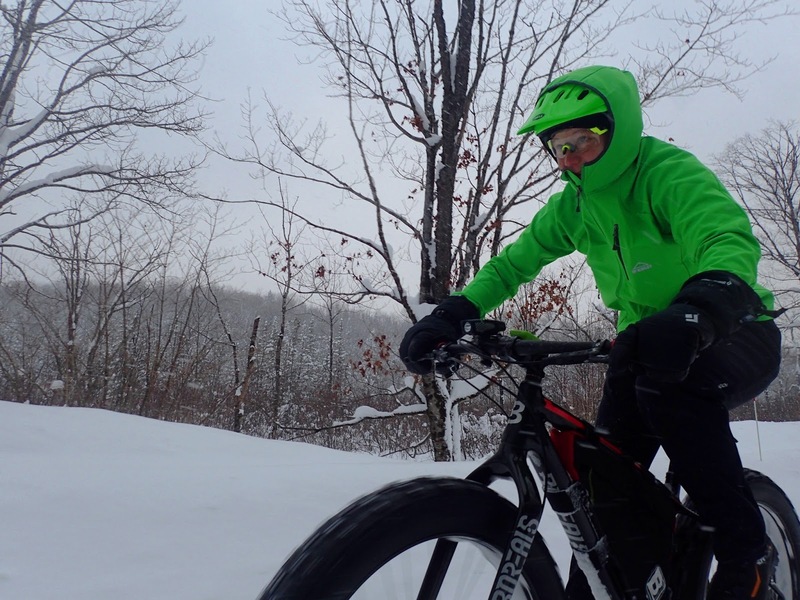 We've also picked up quite a bit of snow as well, with the NEK getting about 5" last Friday which made for an excellent gravel (snow) ride on our Cannondale Slate gravel bikes. The snow made the conditions incredibly challenging but also made them a lot of fun. 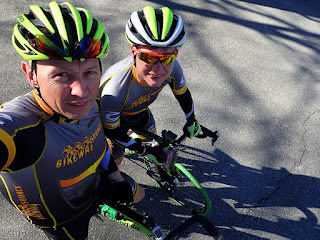 Last weekend we also got in a good mixed terrain ride with a little gravel up and over Stannard Mountain followed by pavement back and around to Lyndonville. All of the snow, this late in the season, has made for not so great gravel riding. Really, we have done almost none to speak of so far. A couple of rides here and there but when the sun hits the roads, the gravel gets muddy and messy, regardless of the temps. 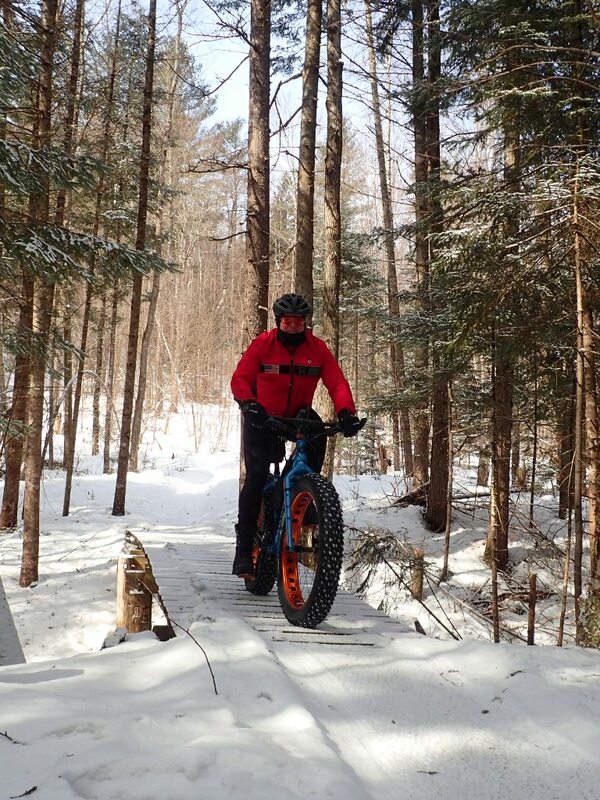 We've opted instead for the fat bikes. They have been the staple that has kept us going this season and we have got many, many hours on them. Yesterday was the Vermont Overland Maple Adventure Ride down in Woodstock, VT. This is a fun event that we have done each year since it started, also back in 2014. Conditions were much more traditional March VT than last year, with snow, ice and mud covered roads and a good snowpack for the offroad sectors. A great event and an opportunity for me to get out and really put the Slate through the paces for the first time. It handled the terrain and conditions superbly. I'm coming to find that there are many subtle aspects of this bikes design that really work well. The 650b wheels spin up quickly and keep the center of gravity lower than comparable 700c wheels. This combined with the compact frame translates to a very stable riding bike which is also quick, nimble and lively when you want it to be. With the Lefty short travel suspension fork damping the chatter and the higher volume 40c tires, the bike floated much better over the rough terrain. The SRAM CX1 wide ratio drivetrain also worked perfectly in the adverse conditions and had a good gear range for the steep ups and downs. Overall the bike is rock solid and with the Schwalbe G-One tires that we are running, it hooks up well in the snow, slush, ice and mud while also rolling very smooth on the pavement. So here we are. A dreary Monday morning. It is 33 degrees and we have freezing rain. Everything is coated in ice and the riding looks questionable at best. Heck, just walking is a challenge. The week looks like it is going to be more spring like with above freezing temps every day. It will be interesting to see how quickly the snow melts. More, how quickly the roads dry out. With the sunny and dry days we had early last week, the gravel was drying quickly. Maybe it will be an easy mud season after all. There really isn't much frost in the ground to speak of as we have had snow cover insulating the ground since before if got really cold. Next up will be the Rasputitsa in a few weeks. We plan to do course pre-rides two weeks and then one week before, reporting back. For now though, I think we are heading south to catch up on some chores, get some things done and miss out on the coming week of, mud.